Rapunzel syndrome is an extremely rare medical condition where hairs the person has eaten become tangled and trapped in their stomach. In the Brothers Grimm fairy tale, the trapped Rapunzel lets down her long hair through a tower window so a prince can climb up and rescue her. Named after this tale, Rapunzel syndrome is an extremely rare medical condition where hairs the person has eaten become tangled and trapped in their stomach. This causes a trichobezoar (hair ball) to form, which has a long tail extending into the small intestine. Recently, a 38-year-old woman had a 15 x 10 cm hair ball surgically removed from her stomach and a 4 x 3 cm hair ball removed from the top of her small intestine. This case, published in the journal BMJ Case Reports, marks the 89th published instance of Rapunzel syndrome in medical literature. Like 85 to 95% of patients with Rapunzel syndrome, the woman presented to doctors with abdominal pain, nausea and vomiting. Other symptoms of Rapunzel syndrome include a bloated stomach, reduced appetite, weight loss and constipation or diarrhoea. In some cases the bowel is punctured, which can lead to sepsis (blood infection). Death has occurred in 4% of cases. Fortunately, this woman made a successful recovery. But it’s unknown why she had been eating her own (or possibly other people’s) hair in the first place, or for how long. It can take six months for a hair ball to develop and there are reports of people coping with the dangerous symptoms of Rapunzel syndrome for 12 months before seeking treatment. The authors of the BMJ Case Reports review found nearly 70% of patients with Rapunzel syndrome were females aged younger than 20. The youngest reported patients have been toddlers while the oldest patient was a 55-year-old man. 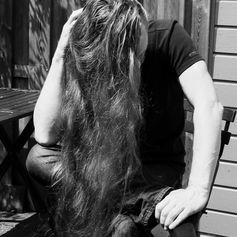 It’s thought more females than males develop Rapunzel syndrome because their hair strands are typically longer, and long hairs are more likely to get stuck in the stomach’s layers of mucous membranes. 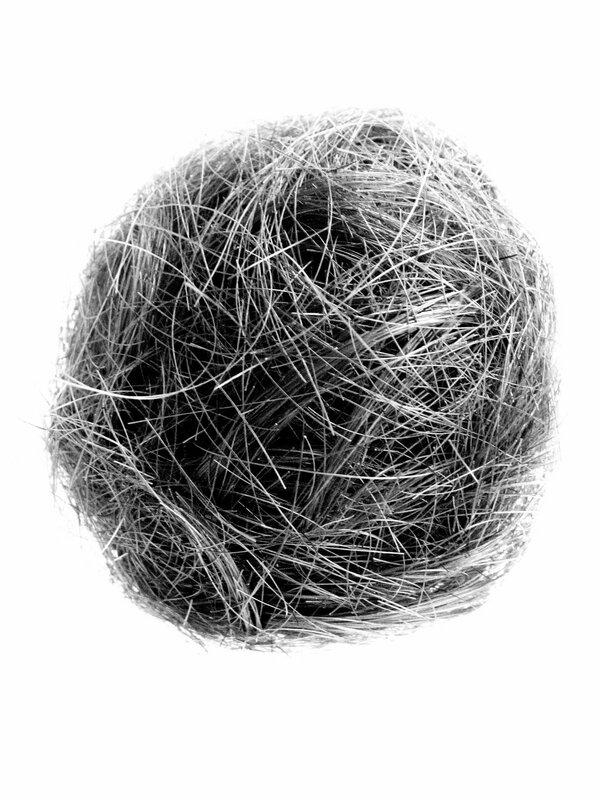 As more hair is consumed and is unable to be digested, the hair ball grows bigger. Why do people eat hair? Some people with intellectual disabilities and certain psychiatric disorders eat their own hair – a behaviour called trichophagia. These groups are thought to be at heightened risk for developing Rapunzel syndrome. There are two particular psychiatric disorders that people who eat their hair are likely to have: trichotillomania and pica. People with trichotillomania feel compelled to pull out their hair, often to the point of visible hair loss. It’s very common for people to then play with the removed hair strands. For example, nibbling the root of the hair or mouthing the hair along the lips can feel relaxing. One study found 20% of people with trichotillomania engaged in these behaviours on a daily basis, including actually swallowing the hair. Another study found of 24 people with trichotillomania, 25% had developed a hair ball in the stomach because of eating the hair. Pica comes from the Latin word for “magpie”, because of the bird’s unusual eating habits. The disorder involves craving and eating non-nutritious, non-food substances such as clay, dirt, paper, soap, cloth, wool, pebbles and hair. Pica generally isn’t diagnosed in infants or toddlers because mouthing (and accidentally ingesting) non-food substances is considered pretty normal at this age. It is most common in children, pregnant women, and in people with intellectual disabilities such as autism spectrum disorder. There have been many theories to explain trichophagia and pica, such as hunger during famine or childhood neglect, as a way of coping with stress, and a part of cultural practices. For instance, in some regions of India, Africa and the United States, eating clay is considered to have positive health or spiritual benefits. Both trichophagia and pica have been found to occur in people with iron deficiency. In some case reports of Rapunzel syndrome, hair pulling and hair eating stopped after the person was treated for iron deficiency or coeliac disease. Coeliac disease causes damage to the small intestine, which leads to poor nutrient absorption. Hair does contain trace elements of iron and other minerals, but it’s still unclear if this promotes some kind of biological drive to eat hair. Other case studies have found the blockage caused by the hair ball was actually the root cause of the iron deficiency. In most cases, surgery is required to remove the hair ball in one piece. It’s also possible to dissolve the hair ball with chemicals, break it up into smaller pieces with a laser or remove it via a tube fed through the mouth and into the stomach, called an endoscopy. However, these methods are generally less successful than surgery. Psychological treatment is recommended to prevent future compulsive hair eating. This is especially important for patients with trichotillomania or stress-related pica because they may be at risk of developing Rapunzel syndrome again. Involving parents and spouses in psychological treatment is important so they can learn to support their loved one to stop the behaviour, and also because the impact of Rapunzel syndrome can be upsetting for them too. Information and support for trichotillomania and trichophagia can be found through the TLC Foundation for Body-Focused Repetitive Behaviors.